First and foremost is the construction of well-conceived, safe homes. Second, is to create accessible barrier-free home environments for those with physical disabilities to support their ability to live as independently as possible. Third, is responding to the demands of an aging population of “Baby Boomers“ who want to live comfortably in their homes. What does this mean if you’re planning to remodel a bathroom in your home? Universal design features are so subtle you would never know that the bathroom is purposely designed as a room anyone could use, at any age and with any ability. Many of these features add both function and value to a home. Thresholds and changes in floor elevation are barriers addressed by universal design. 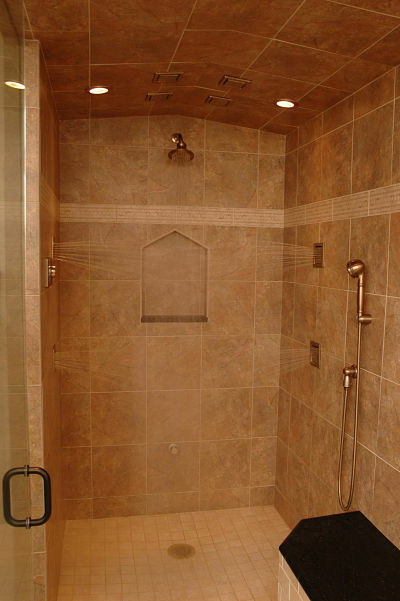 Curbless walk-in showers provide level access for users and create a stunning streamlined look in any bathroom. Handheld showerheads are a great innovation. If you’ve used one to wash a child or yourself, you probably appreciate the way you are able to direct the spray to cleanse off soap residue and make a shower a pleasant experience. They also make washing pets a breeze. If you or a family member has had surgery or broken a limb, a handheld shower is an asset when you need to keep incisions or a cast dry. When installing a handheld showerhead, pay special attention to where it is mounted. 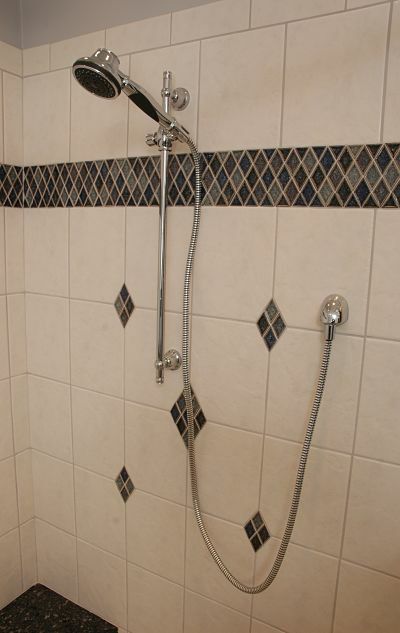 For optimal accessibility, it should be mounted lower than a wall-mounted showerhead and should stretch to reach your feet when seated on a shower bench. 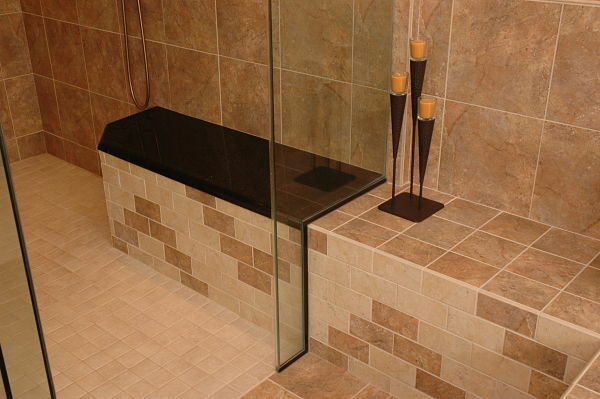 While most people prefer to shower standing, there are times when all of us could use a shower bench. If you’ve ever had a temporary or long-term disability, suffer with arthritis or shave your legs, a shower bench is a plus. The primary benefit of installing grab bars in a bathroom is safety. According to the National Centers for Disease Control and Prevention, each year 21.8 million people age 15 and older are injured in non-fatal bathroom falls, resulting in $67.3 billion in medical costs. Grab bars help to reduce injuries. 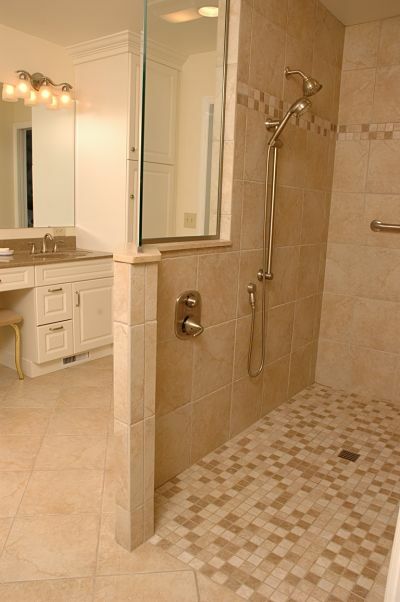 Bath design professionals have taken note and creatively include functional, attractive grab bars in their plans. There are two features that make tile flooring slip resistant – a rough surface and grout. 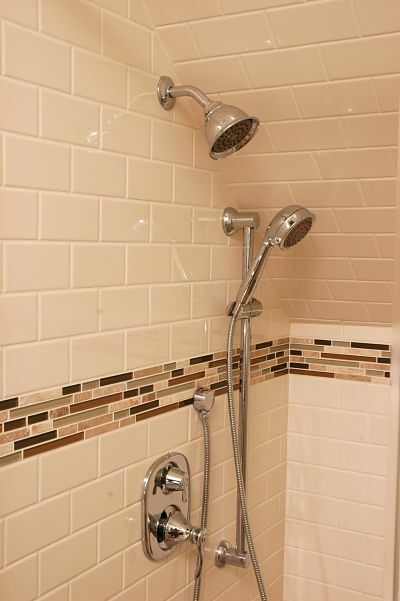 Smaller tiles require more grout and will provide better traction when feet and water meet, especially in a shower. 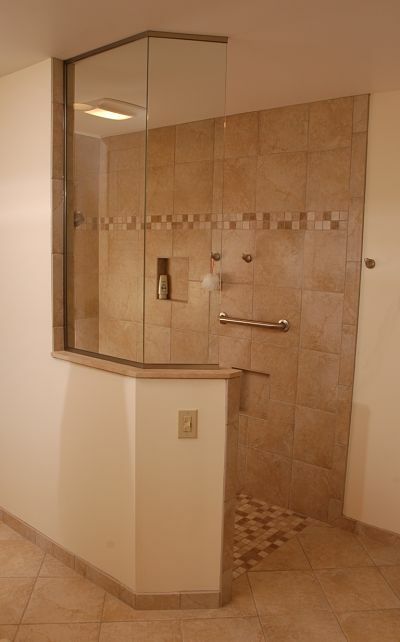 An entryway into a bathroom should be 32-to-36 inches wide to accommodate a wheel chair or walker. However, a wider entry makes life easier for everyone, especially when you’re gathering towels for the laundry. 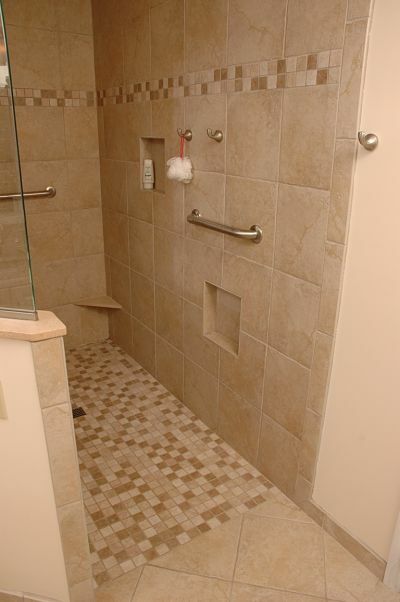 Five feet of open floor space is the minimum requirement for maneuvering a wheel chair in a bathroom. For most of us, more floor space makes a bathroom seem more luxurious and comfortable. Curbless showers are on our list but level access in the entry to the bathroom, hallways and other rooms makes a home accessible to all. A person who uses a wheelchair can easily access a wall-mounted sink without a base cabinet. 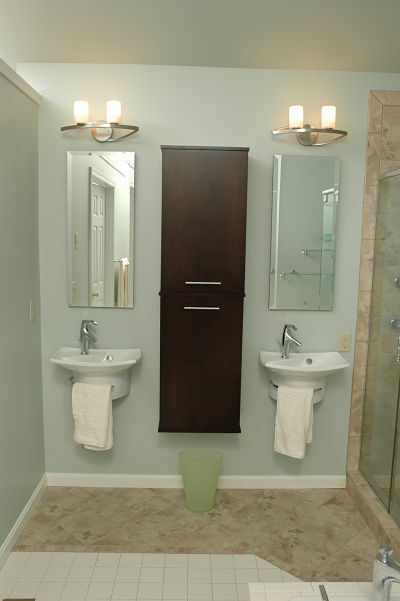 Wall-mounted sinks can also add aesthetic appeal to a bathroom by creating more floor space and an uncluttered look. According to the National Eye Institute, 75 percent of Americans use corrective lenses. Good lighting is a must in any home, particularly for those with moderate to severe visual impairment. When planning to remodel a bathroom consider the placement of lighting for grooming and other tasks such as viewing contents of cabinets, showering and bathing, and nightlights for safety. If you’ve ever tried to open a door with a round knob handle when you’re carrying an armload of groceries, you’d appreciate the ease and convenience of a lever door handle. Lever handles are used on sink and shower faucets too. Rocker light switches are easy to use, are much more attractive than traditional switches and blend well with wall tile. For a person with arthritic fingers or other hand impairments these features are essential. In addition to the extra space found in handicapped accessible public restrooms, a taller toilet makes transitioning from a wheelchair or walker easier. Tall toilets are more comfortable too, so why not use them at home? Tall toilets are 16-to-18 inches high and are produced in a variety of attractive designs.